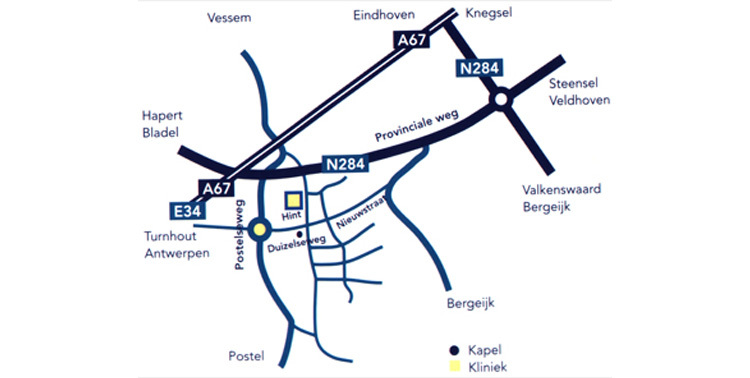 Junction Eersel. Turn left at traffic light. Left at roundabout, left at chapel. After 300m you find the clinic at your left hand side. Highway E34/ A67 direction Eersel /Antwerpen. Junction Eersel. Turn right at traffic light.